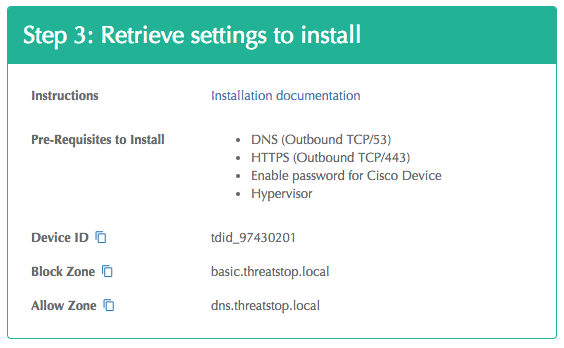 To perform this installation, you need an account reachable via SSH on the Fortigate as well as the Enable password for the device. Device Management IP address: This is the internal address of the device. The TSCM will communicate with the Fortigate via SSH using this IP address. 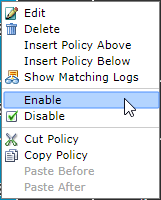 Enable Virtual Domain support: Must be set to yes if your Fortigate is configured to use the Virtual Domains feature. VDOMs can be used to divide a single FortiGate unit into two or more virtual instances of FortiOS that function as independent FortiGate units. ThreatSTOP ACLs can be assigned to a VDOM. Virtual domain name: If you enabled VDOM support, enter the name of the VDOM to use. VDOM names are case-sensitive. Max entries per policy: select the maximum number of ACLs (Addresses) supported by your combination of device model and FortiOS. Fortinet’s documentation is linked here. Maximum entries per address group: select the maximum number of Addresses per group documented by Fortinet. Fortinet’s documentation is linked here. The TSCM will split the policy into groups of the specified size. 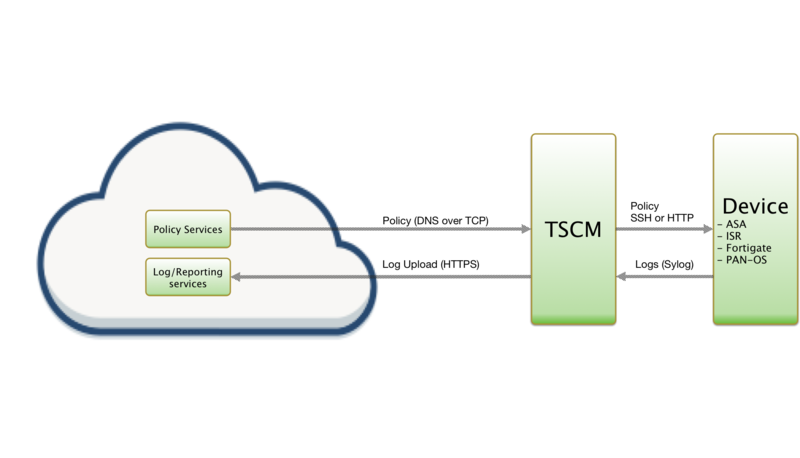 Note: A single TSCM image can manage multiple Fortigate devices (as well as Cisco ASA, Cisco ISR and Palo Alto Networks PAN-OS devices). Simply repeat the device entry creation (step 1), skip the download and VM install (step 2) and link the additional device(s) by repeating step 3.